Matt Fitton has been writing and script-editing audio drama for Big Finish Productions since 2011. He has scripted new adventures for Doctor Who incarnations from Tom Baker to David Tennant, and is currently writing the ongoing series with Paul McGann’s Eighth Doctor. 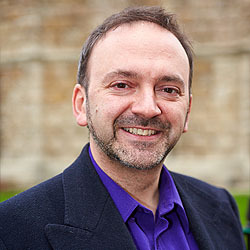 He also writes and edits spin-off adventures of several Who characters, including Jenny, the Doctor’s Daughter (Georgia Tennant) and River Song (Alex Kingston). Matt works across other ranges too, including Terry Nation’s Survivors (his opening episode was nominated for the BBC Audio Drama awards), a revival of the 1980s supernatural chiller The Omega Factor, and is now script-editing a Big Finish Original thriller series.